I greet you beloved family. I reach out from my heart to yours. I reach out to embrace you, you in your current reality, you in this now moment, you as the person that you are with everything that you have been through in this lifetime. There is a magnificent transition taking place upon the earth. It is something that was started thousands of years ago and is coming full cycle. We’ve spoken in the past about the ways in which time is nonlinear but flows in a spiral and if you think of that spiral you can think of it as something that’s small at the bottom getting larger and larger, larger like you would see a tornado. That spiral may be upright, on its side, it can move in any different direction, therefore, when you allow your presence and your consciousness to be in the now moment you may be anyplace within that cycle depending on what is happening within your life. It may be that you find yourself in a place of bliss and balance. It may be that that you find yourself caught up in things happening in your daily life. It may be that you are actually feeling disoriented as if you’re not quite sure where your reality resides and you are living with one foot in this life and one foot in this life. They are the same life experience, however, the vibrations transition and sometimes they might get stretched apart and sometimes they might be more firmly in balance with one another. This is a very exciting time to be upon the earth, to be involved in the energy work. This is a time in which many things of the past are being released and cleared out while many things of the future have been established and are now coming into your reality. What is this you may ask? What does it means to you? How are you going to be in this existence? More than ever your free will and the creation of your choices are going to be just that, your choices. More than ever in this vibration, that which is flowing through you from your higher self and your divinity is going to be making your options available to you more fully and readily. And if that is taking place in your reality but yet so much of your focus remains within your ego or the limitation of this mind’s consciousness it will be brought up to you and you will feel as if, “I have a choice, I have a choice, I have a choice, I have a choice”. Allow me to say that if the perception from your mental body is “I have no choice I simply have to do this” that’s really a trigger to know “I do have a choice”, “I can choose my reality”, “I can choose to interpret this differently”, “I can choose exactly how it is that I wish to live my life”. You’ve always had this potential but never more strongly than what it is right now. Oh family; join me, take a deep breath and send your energy down into the earth. As you allow your focus and your consciousness to be anchored within the earth, it will create that focus or that awareness that you may more fully transition your consciousness. Allow your consciousness to stream up from you. It goes up through the top of your head. You may feel it as it aligns with your higher self. Take a moment to experience your higher self. As you look around within the space, this is what I was speaking about a moment ago; that space that is from the higher perspective that is going to be helping you in your everyday life. Sometimes it may feel as if you’re making an adjustment, like you put on a jacket and you have to fix it a little bit. You know that jacket, you know it’s what you wish to wear, however it doesn’t feel quite right. This greater amount of your higher self that is now flowing within you in a conscious manner is that jacket that’s helping you to have a new perception of your life and helping you to adjust to your everyday reality. There we go. I could feel each of you just adjusting and accepting that higher perspective of yourself. 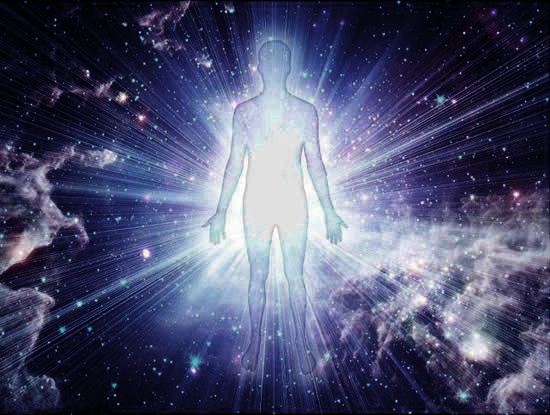 You allow your consciousness to stream from the space of your higher self, it continues to flow upwards until you find your energy or your essence merging with your I AM Presence. As you feel your energies blend with your divinity even more so than ever there is this acknowledgment and this awareness for who you are. You already know that you are more than just this one lifetime upon the earth. You already know that you are living in a potential that allows for greater flow and energy to move within your life. This is one of the many ways in which you open that door, you open that flow, feeling it as it moves through you. I the Goddess walk in and amongst each one of you who are here. I reach out to embrace you in this now moment. As I reach out our energies merge blending with one another. As our energies merge you feel yourself transitioning into the All That Is. Here within the All That Is take a moment and look at what has been made available for you. It is as if there is a party that is going on. We love to have these parties, whether you call them the angelic parties, the heavenly parties, the expanded consciousness parties. It is a time that we are here to celebrate you and as you look around you see the Angels, the Light Beings, you see the Ascended Masters, you see all of those people and energies that have worked with you throughout this past year. They have come to celebrate you, to celebrate the ascension and to celebrate the light. Open up your consciousness as if you are opening up. Receive the love, the awareness, the vibration that emanates within this group. There is a lot of mingling that is going on. Each of you are speaking with your guides or the masters or those beings of light that you have predominantly worked with this past year. I wish to take a moment and comment upon how much the consciousness of the earth has transitioned over the past 18 years. As you went into the new millennium, it shifted the focus into a new potential. There was still quite a bit of energy dragging the vibration down and anchors that were holding it keeping things for moving forward; however, millions of people have worked very, very, very diligently over the past 18 years to continue to clear the vibration, to continue to clear the past experiences and to continue to clear not only experiences happening in this lifetime but your whole entire timeline of existence. The transition into the fourth dimension took place about 10 years ago in 2008. That was also when your financial system collapsed. It had been built on false information, or inflated information and you have begun to rebuild since that time, some doing extremely well, others still in that process. The spiritual development that has been taking place is massive. No longer do people look to the one or two figures to be the savior of all. People understand that the integration of their own divinity is the steppingstone towards this new reality. Oh, there are still many, many, many people that look towards and that is okay because that is what works for them at this time. However, in the background of that and working through those systems are these changes that are coming in. One of the major differences and this is one of the reasons why things have gone so slowly is because nobody from this vibration is out there to control or manipulate or demand that anything happens in any particular time; we simply put more and more and more out there for you to receive and as you receive it you grow and expand and multiply. I can tell as I’ve been speaking that a quiet has taken over that sound of the party that was going on. Everyone is kind of settling down now. We have a few that would like to speak. Of course with the Christmas holiday coming up. We see Yeshua. And we see coming behind him those that were referred to as the Ascended Masters or the Three Wise Men. They were considered the Wise Men because they were the Ascended Masters of the time, St. Germaine, Metatron, Melchizedek. Ah, this is what happens. We’ve spoken of the Akashic Records before because other Ascended Masters step into that role and so if you were to say, who are the three Wise Men, you may have other names and this is how they work around your physical world to create the resonance within the different locations. You see Archangel Gabriel as they stand here in front of you; Mother Mary, Joseph, Mary Magdalene and the other people that created the foundation for that lifetime of Christ. Now, we know that not everybody who is watching this or is listening to this follows this tradition and this is why we want to acknowledge that not only is Jesus one of the lights that was born upon the earth to bring in the light, to be the bearer of the light, so too in the many different religions there have been over time different individuals; so open to your heart and that which resonates with you as the bringer of the light, let that be the essence with whom you align. My heart is full because probably close to half of you saw yourself as the individual. I wish to turn this over to Yeshua inviting him to speak. Greetings, I send you salutations of this time upon the earth. I choose it as a time to come back and walk upon the earth as often as I can because there is so much support through the vibration of billions of people thinking about me and my process of birth. As you look around at all of the people, the Angels, the Light Beings, these are but the Ascended Masters, look, I invite you to look also at all the Angels, the Guardian Angels. Look at the people upon the earth that were the anchors for those individual Guardians. Never is it just one person that can create the type of change that was created with my birth. Thousands of years ahead of that came Buddha, Abraham. There have been so many others that came in attempting to do what I did and each time they set the seeds of light within the consciousness of the earth. Each time they would get a certain amount of success and then things would collapse upon themselves. This is why we work very diligently this time and when I was born into that lifetime there were so many people around so as to create the support and the anchor that would allow me the opportunity to have the life I chose. There is a great deal of my life that is seemingly lost. When I lived in India and the Himalayan’s it’s as if they focus upon the beginning of my life and the end of my life and there were but two moments. It was those years in between in which I learned through the earthly experiences and I integrated that I sowed the seeds showing people the potential of what they could do. A birth is always such a joyous occasion. It’s a new potential for that individual and for the family surrounding them. A birth is the opportunity to celebrate life, celebrate a new beginning, celebrate that you yourself are seeking to begin again. So at this time of my birth I invite you to rebirth your own life. You can do it every single morning when you wake up. You can choose to do it on the anniversary of your physical birth or you can choose to do it as a part of a group that is so focused upon mine. And what is it that they call me? The light of the earth. Darkness is represented in many different ways. It can be the emotional darkness within your heart. It can be the mental darkness where you find yourself just going back and forth and never making any headway into your life. Darkness can be a sickness or an illness that you are experiencing. And then they say that I was the light that came in. And what does a light do within a dark room? It illuminates. And what happens with this illumination? You can see or know new potentials. So if there is anything within your life that you seek to have greater illumination allow the light of my own consciousness to merge with yours and to bring you into a state of being, a state of love, a state of balance, a state of potential. I speak these words and I watch each one of you and I see the integration that moves through you. It is the natural instinct in the human reality to wish to progress, to make changes, to move forward, to ever evolve within your life. I the man that walked upon the earth is not the man speaking with you right now. I was able to come in and step down the vibration of my true authentic self as much as possible in that lifetime, however, you think your energy is heavy now; it was thousands of time even more dense at that time. This is another reason why I went to the Himalayan Mountains, so that I could be in the high vibration so that I could have that reminder of who I truly am. Where are your Himalayan Mountains? Where is your retreat? Where you can go that allows you to be your true authentic self that allows you to be so close to your divinity that your divinity is what merges and expresses through the human that is you. Here within this space I invite you to go to that space. I see many of you do choose the Himalayan Mountains. I see some of you choose what looks like the woods. Some of you are beside the ocean. That place that allows you to truly, truly, truly, be the expression of yourself. Let yourself feel it. Let it flow through you and I amplify as you find out what this is for you. As you know, your vibration create the light that represents this space. For some it may look as if it is a candle that you hold, for some it’s as if beaming out of your heart center are the rays of light. The key for you to understand is that that light is coming from within you as opposed to shining down upon you. You are the light. You are the new beginning. You are the manifestation of I Yeshua and these many other Ascended Masters. You are the Ascended Masters that walked with me, many of you. Allow that reality to flow into you. As you consider how you emanate that beautiful light that is the reflection of your soul essence let it shine upon your everyday life. As I shine upon your life does anything change in your perception? I know I said as I shine upon your life, I that I AM that is you is how I speak of this. The God source within you that is your divinity let that be what flows into you and let that be what radiates out from you. Shine your light into your home, your relationships, your work, however, first and foremost you shine your light up and down through you yourself. My work will never be fully complete, however, the cycle of transformation that I began is coming to completion. Just as those others, Abraham, Krishna, Mohammed, just as Buddha, just as so many of us have represented different times in the history of the world or different locations as a means of representing the light, we all work together as one; so that we may shine a unified light of love and balance into the world. I thank you for celebrating my birthday with me and I thank you for accepting your light as you allow it to shine forth within your life. I the Goddess can see and feel the transition that is taking place here. As you look back at that birth in the stables, as you look back, you can still see it, that there is such a distance because this next phase of integration is already becoming the focus instead of recognizing that there has been a light integrated upon the earth and in order to find the light this next phase is that you are the light and you have always been the light. Now humanity can accept it. You can accept and allow your own truth to radiate from you. You are not just dangling by yourself all alone. You’ve the company of all the amazing Masters and Light Beings. You have that unconditional love and strength of your own divinity. Let yourself bask in that energy. There is wave upon wave that flows through in this now moment. You have always been of service to yourself and others. Now is the time to more fully receive this gift of life from us to you. A gift of life that was already given to you from your divinity, however, a gift of life that allows for you to know intellectually, emotionally and physically that you are one; you are the truth in your reality. Feel the wave upon wave upon wave of love that flows through. In all situations be open to acknowledge the light that is within you, the light that represents you and the light that you are to the world. Even if it seems that a light has been diminished or turned off, it is still there. It is ever ready to return and it does return. And any time that you are in a space of darkness the light brings love and compassion and potential. Be the light. Be yourself. I invite everyone to come back together as a group. I invite you to join me in this now moment. As we do so let yourself shine forth as the light that you are in this moment. As everyone comes together in this group illuminating themselves, their heart, their truth, their divinity, let all of that come into the circle and coming up within the circle is that hologram of the earth. As this hologram moves up within each one of you it begins to spin and turn as it transitions everything within its path. As this hologram integrates all of this light energy there is that part that goes out into the universe while the remainder of it goes down moving through the vibrations and the energy of the earth. It moves through the collective consciousness going into the center of the earth so that it may anchor and integrate. You can imagine the light that continues to grow expanding, expanding, expanding getting bigger and bigger as it comes up through all the layers of the earth. It comes out onto the surface of the earth. It comes out anchoring within you your own light of your divinity. So too that vibration moves through the water, the grass, the trees, it moves through the remainder of the collective consciousness once again clearing out any link to the lower vibration illuminating anything that is stuck so that it may transform through the state of being in the vibration of light. You may dim the light, you may expand the light but the light is always the light and the light is always a high vibration. I invite you to bring more of your own consciousness back within you. Everything that you were doing up within the All That Is you allow all of that to flow back within you. Your conversations with the Light Beings and your Angels, let all of that energy work and experience come back within you in your everyday life. You may remember it or not, however, it is there and it is influencing you in support of you always. There is such love in my heart. There is such transformation taking place, that sense of having accomplished what we set out to do. Even though there were many, many, many times we questioned could it truly be done. It is done. Beloved family know that I am always with you and within you.